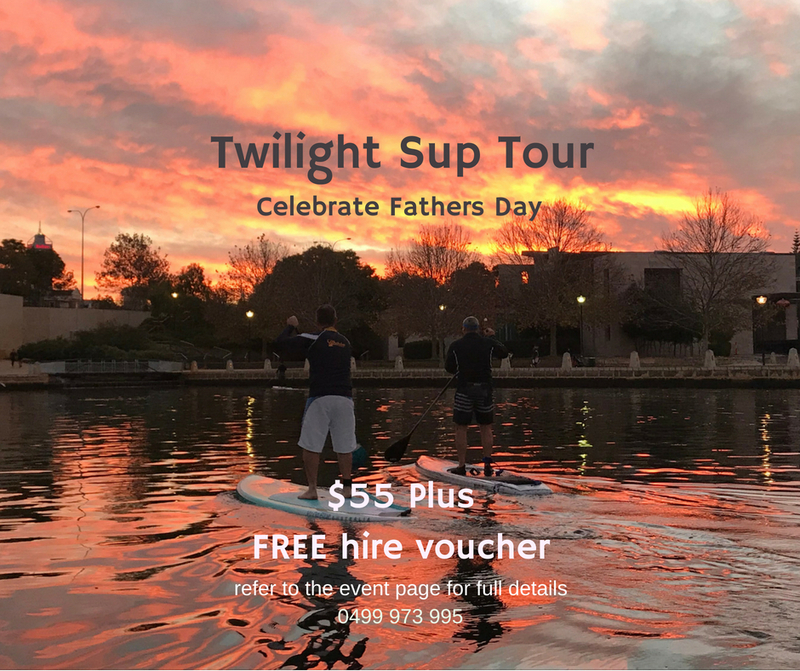 Treat Dad and the family to a Twilight Sup for Fathers day! Launching from Maylands Yacht Club we’ll paddle via the Optus Stadium, Matagarup Bridge and into the Cove before heading back at twilight taking in the stunning iconic lights. Be warned – you may see dolphins under a stunning sunset! Basic paddling experience essential for this tour. A disclaimer must be signed to participate. This event may be subject to cancellation if weather conditions are unsuitable.